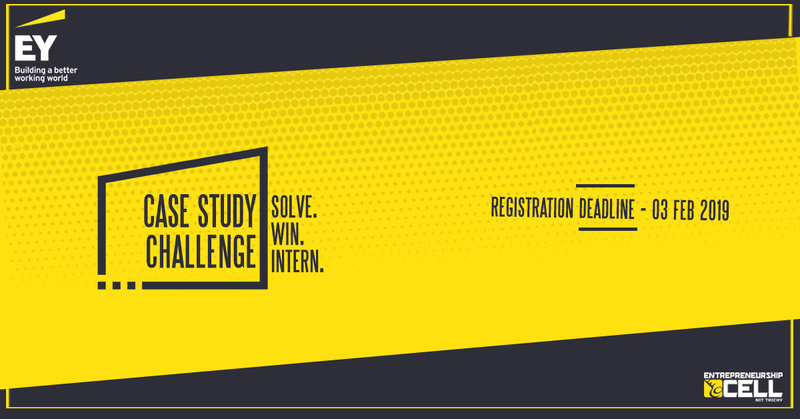 E-Cell NIT Trichy presents a National Case-Study Challenge in association with EY where the brightest young minds compete against one another. The finalists will get a unique chance to present their solutions to a jury comprising experts from the Industry and professional executives from EY. Thats not all. The winners of this contest will get the once in a lifetime opportunity to intern at EY this summer.